Colours, tones and textures skillfully combine to create this custom mixed media award. 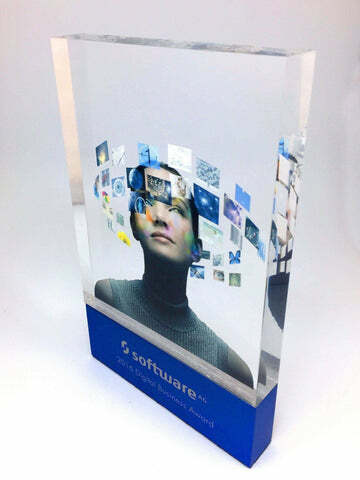 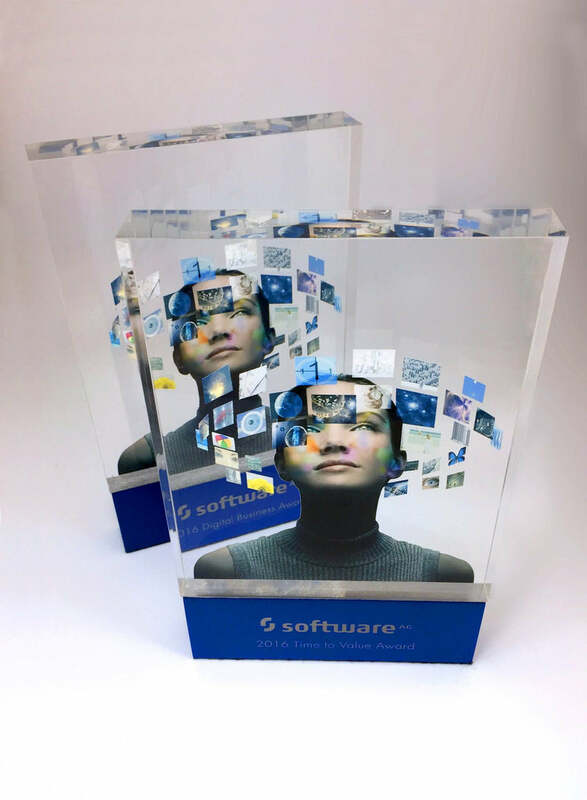 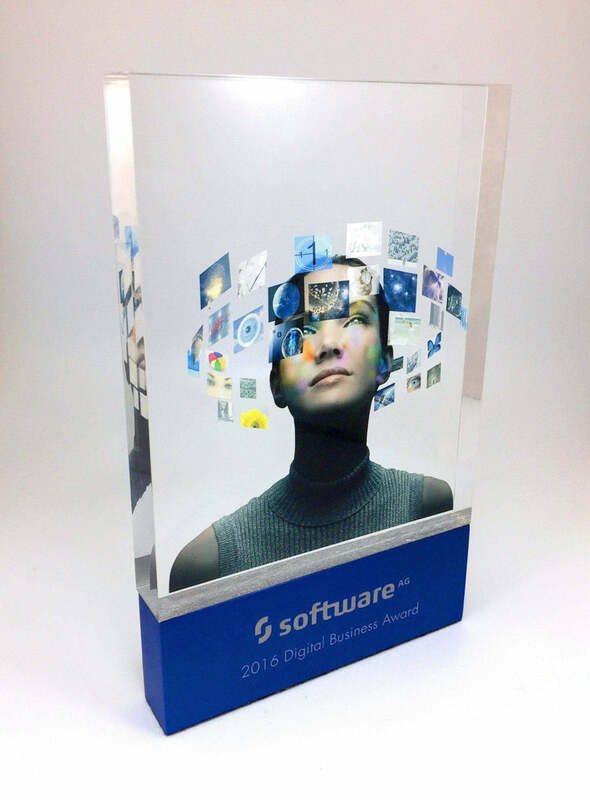 The main section of the award features a high-res graphic printed within the solid acrylic block communicating clearly the message of the award. The acrylic body is mounted onto brushed and blue-anodised aluminium, matching the colours of the graphic and contrasting with the clear acrylic.